Just three days after Delaware’s playoff loss to James Madison, Head Coach Danny Rocco announced that Offensive Coordinator Matt Simon will not be returning to the program. Simon, Delaware’s offensive play-caller, joined Delaware’s coaching staff two years ago, in the same offseason Rocco became head coach. He served as offensive coordinator and quarterbacks coach in his first season. This year, he coached the running backs as Alex Wood was brought in to coach the quarterbacks. Delaware’s offense stumbled down the stretch, averaging just 10 points in its final three contests of the season. 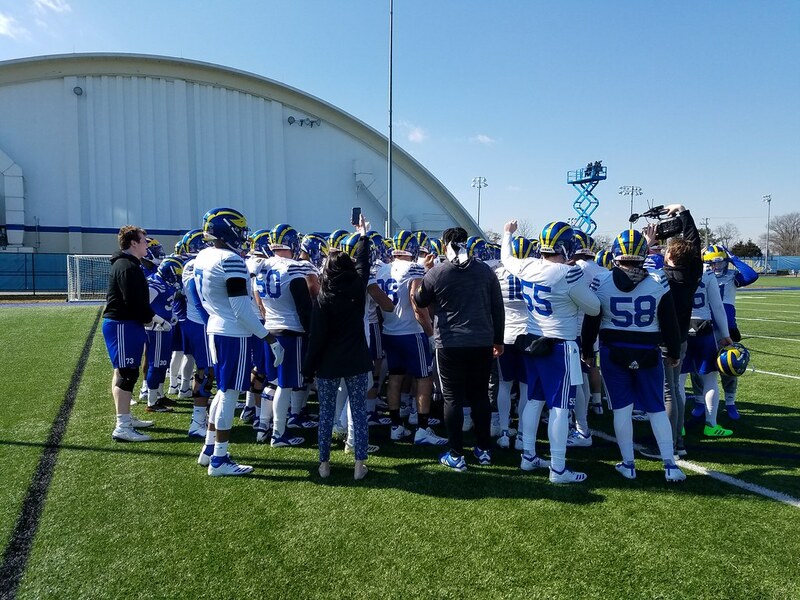 Although Delaware returned to the playoffs this year, ending its seven-season drought, the Blue Hens offense didn’t score a touchdown in their final game of the season. Despite taking steps forward in the passing game, Delaware’s offense went backwards other aspects. After ranking last in the CAA in passing last season (and in 2015 and 2016), Delaware finished eighth with 195.1 passing yards per game. The passing game dipped over the waning weeks of the season, producing just 150 yards per game across the final four games of the season. Delaware wasn’t efficient, completing a league-worst 49.5 percent of its 333 pass attempts. Delaware’s running attack regressed in Simon’s second season as offensive coordinator. 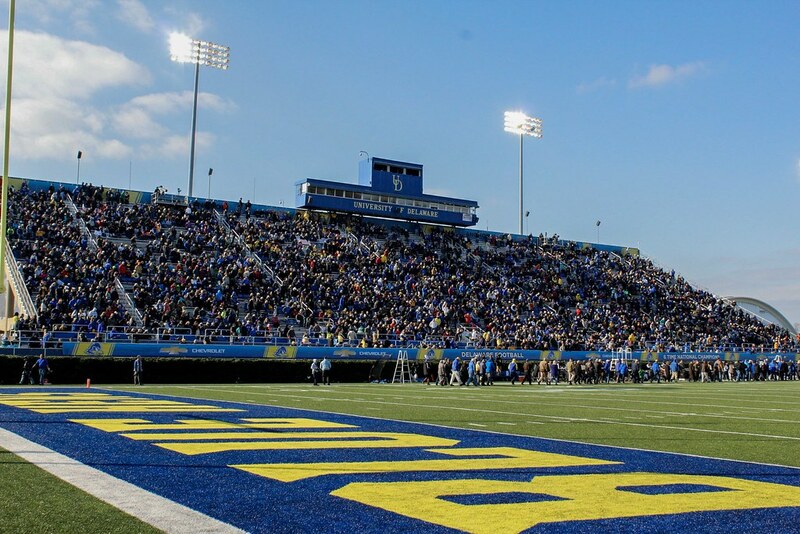 The Blue Hens finished eleventh in the 12-team CAA with 105.3 rushing yards per game. Delaware had finished second in that department in each of the past two seasons. 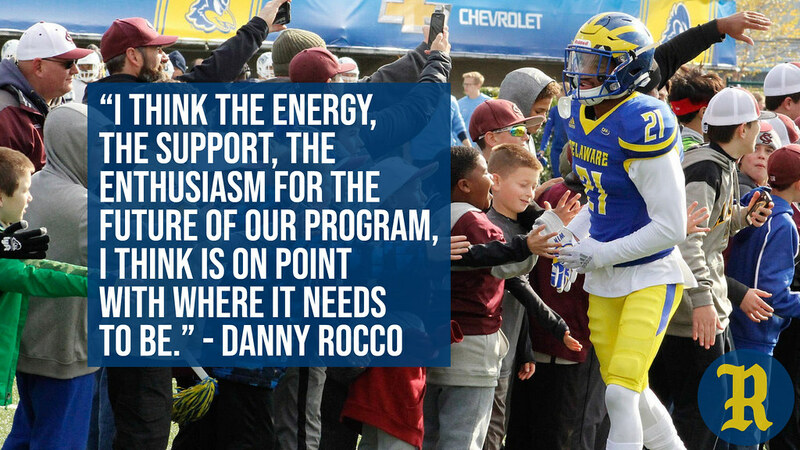 The Blue Hens total offense ranked tenth out of twelve teams in the CAA, averaging 314.8 yards per game. Simon, 64, coached running backs at Buffalo for six seasons prior to joining Rocco’s staff. He’s coached for 41 seasons at multiple schools, including North Texas, where he served as head coach from 1994-1997. He was on the staff of the 1991 national champion Washington Huskies and the 2000 Super Bowl Champion Baltimore Ravens. Delaware’s spring practices culminate in the annual Blue-White scrimmage game at Delaware Stadium on April 20.